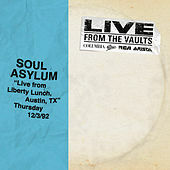 Pegged for years as the most underrated live band in the US, Soul Asylum worked their trademark sound -- a messy, melodic blend of Punk rock and '70s album-oriented radio -- on the club circuit for years. Their rise to fame was a long time coming, and their decline from that high perch came a lot quicker. 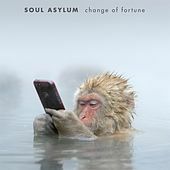 Formed in Minneapolis, Minn., in 1981, the group -- originally named Loud Fast Rules -- soon changed their name to Soul Asylum, and began to release records on the famed indie label Twin Tone. The group recorded a number of LPs for Twin Tone until they were signed by A&M Records. Their work with A&M fell short of the label's sales expectations, and it wasn't until the group signed to Columbia and released Grave Dancers Union in 1993 that they started to find the national fame for which they had so long worked. The band's hit singles -- "Someone to Shove," "Runaway Train," and "Misery" -- rode the pop charts for a brief window, but were somewhat overshadowed by lead vocalist Dave Pirner's relationship with actor Winona Ryder. The group continues to tour, recently releasing Candy from a Stranger. The tracks offered here are from the band's arguably strongest period, its mid-ÃÂÃÂ80s tenure on Twin Tone. At that time, the Minneapolis triumvirate of Husker Du, Soul Asylum and the Replacements seemed almost unbeatable in the "alternative" pantheon.